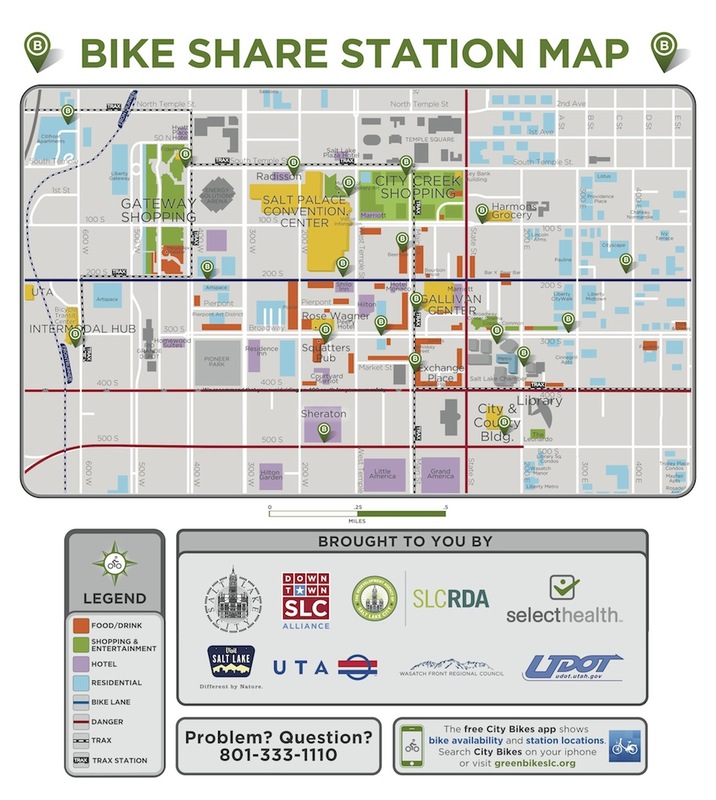 GREENbike, also known as SLC Bike Share, is a growing network of shareable bikes stationed throughout downtown Salt Lake. 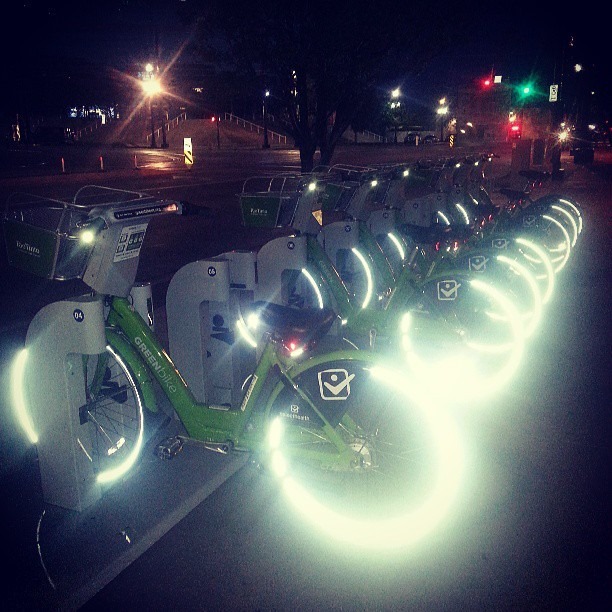 GREENbike is a nonprofit organization supported by Salt Lake County and the Downtown Alliance. It tracks and maintains the bikes, and it aims to expand its network, decrease congestion, and improve air quality. 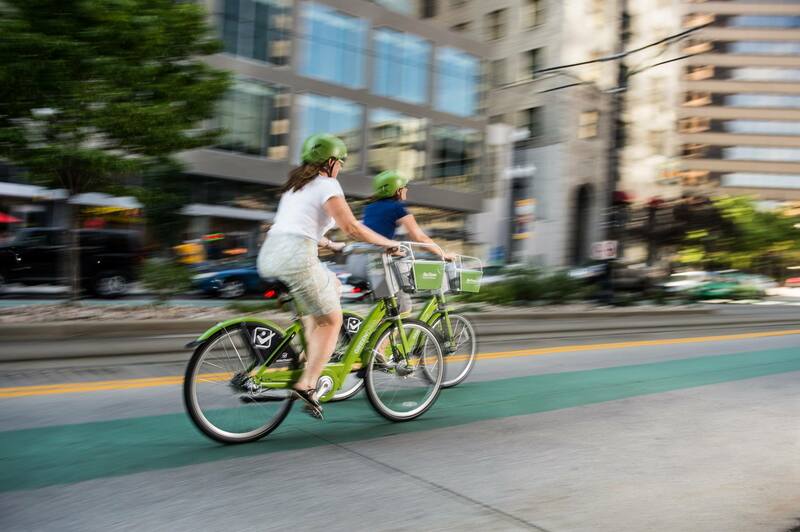 Aside from these lofty communal benefits, bike riding provides citizens and visitors an intimate connection with the city that car travel simply can&apos;t.
HOW DO I USE GREENBIKE? GREENbike&apos;s two main goals are: A) to get people pedaling and B) to promote sharing, so the program is designed to favor shorter rides. If you want to give the program a test run, or you&apos;re only in town for a few days, you&apos;ll probably want to purchase a 24-hour membership. Just roll up to one of the bike stations&apos; touchscreens (which are powered by that giant ball of burning gas in the sky*), follow the instructions, and select the dock number of the bike you&apos;d like to ride. The dock will beep, you&apos;ll unlock the bike, and off you go. 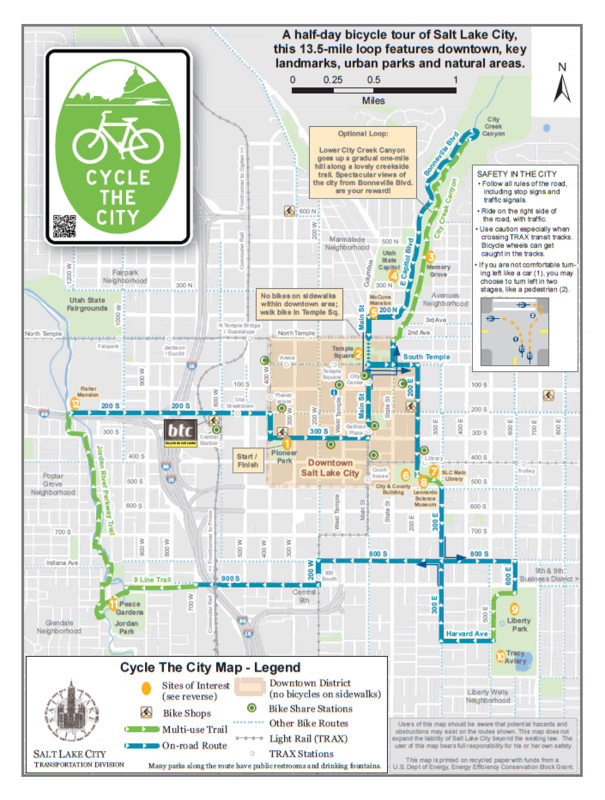 Return the bike to any of the city&apos;s docking stations (station map below). 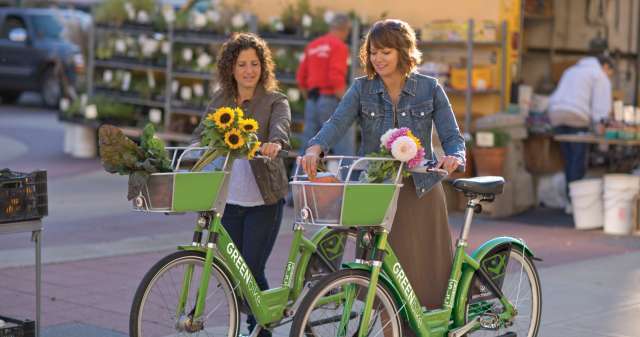 You can also purchase a week-long or year-long membership here, and GREENbike will mail you a GREENbike card you can swipe to instantly unlock a bike and hit the road. *Visit Salt Lake acknowledges that, technically, the sun is not actually burning. A 24-hour membership is $5. For that $5, you get unlimited 30-minute bike rides for 24 hours. Just check the bike into a docking station within a half hour of checking it out; you can always check it (or another GREENbike) out again for free within your 24-hour window. A 7-day membership is $15, and an annual membership is $75. All memberships work the same way: pay once for your allotted membership timeframe, ride for free for 30-minute increments. What happens if you keep the bike longer than 30 minutes without checking it in? 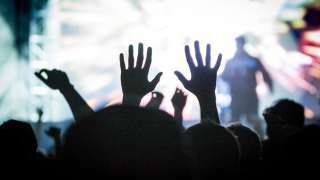 You&apos;ll be charged $2 for the first additional 30 minutes, and $5 for each additional 30 minutes after that, with a daily max of $75. It&apos;s a refreshingly simple process designed to minimize hassle and maximize cruising. I use my smartphone for everything. Can I use my smartphone for GREENbike? The &apos;B-Cycle&apos; and &apos;Spot-Cycle&apos; mobile apps will show you how many bikes and docks are available at each station. Do the bikes have locks? Yep, the bike have built-in locks, and keys for the locks. A word to the wise, however: if the bike is stolen, you may be liable. You&apos;re responsible for your own helmet. Helmets aren&apos;t required, but it&apos;s smart to wear one. 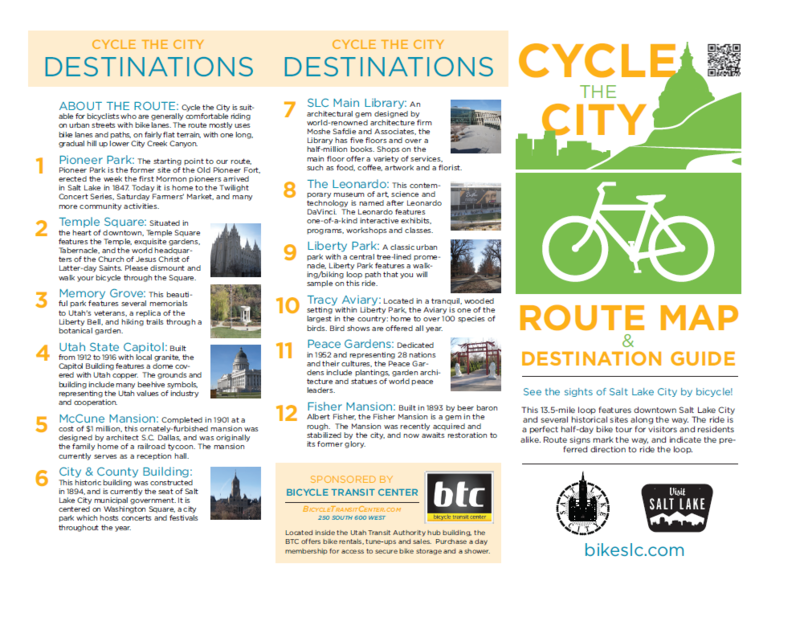 Annual members receive a free "I Bike SLC" helmet, which they can pick up at SLC Bicycle Company, Bicycle Transit Center, Saturday Cycles, or Wasatch Touring. Yes, they have front and rear lights, and lots of reflective components. Can I check a bike out any time? Yes, even in the wee-est hours. The program does close down for winter, usually in November. 1. Pick up some groceries at the Farmers Market or Harmons. The bikes are equipped with baskets to hold your picnic or dinner ingredients, and there&apos;s a docking station right outside Harmons. 2. Grab a pint at Beerhive and another pint at Beer Bar. 3. 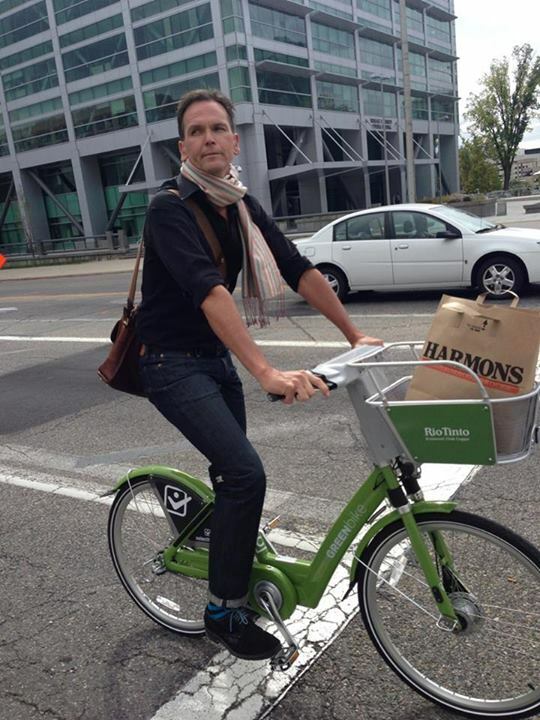 Ride to lunch or coffee, and take advantage of Salt Lake&apos;s Bike Benefits Program. 4. Go to a Jazz game or a summer festival and avoid searching for parking. 5. Ride to the Megaplex 12 or Broadway Centre Cinemas to catch a flick. 7. Form a short-lived bike gang with other GREENbike users. 8. Go shopping at The Gateway or City Creek Center. 9. 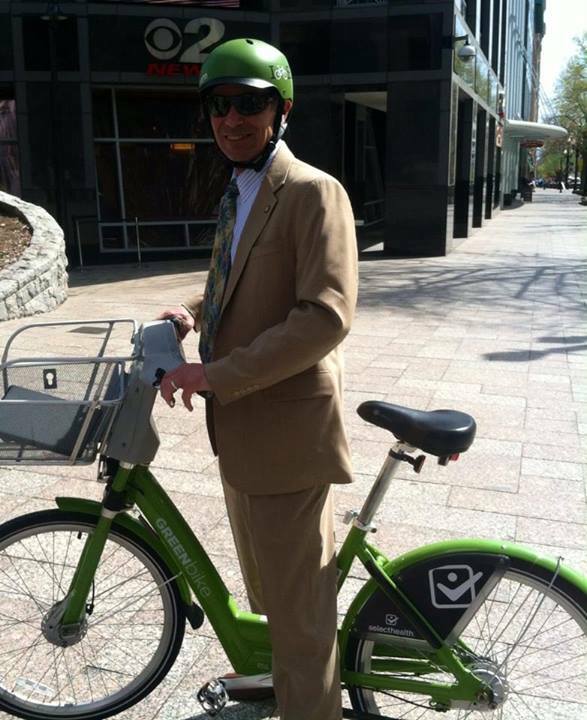 Ride your GREENbike in a suit, like Salt Lake City mayor Ralph Becker. 10. Ride to a transit stop and hop on a bus, a Trax light-rail line, or the Frontrunner commuter train.